Our Series 2 Redi-Wall is cast with 4800 psi air-entrained concrete poured over a steel reinforced frame. 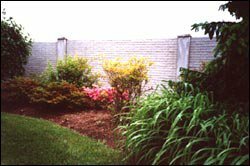 Series 2 Redi-Wall comes in the standard size of 6' x 12' panels but can also be cast in other custom sizes. They are great for adding security and privacy to your home or business.